Paul Young, who had hits with Wherever I Lay My Hat (That’s My Home), Love of the Common People and Everytime You Go Away – just three of his 20 plus hits, is laying a different type of hat, a stetson. 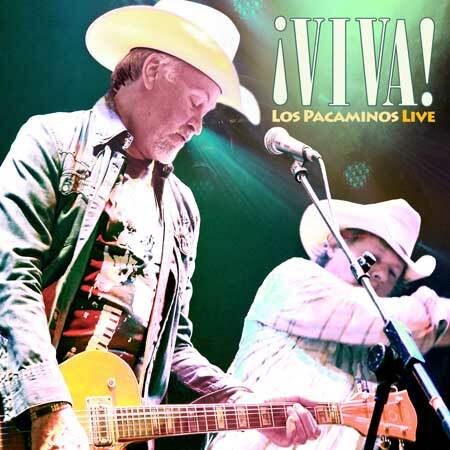 In 1992, he formed Los Pacaminos, a band dedicated to playing Tex-Mex and Americana-type songs. Their brand of happy, party-type music has proved popular and they are bringing it to Sheffield this weekend, writes Martin Hutchinson. And the band has built up a great following over the years, as well as recording a couple of albums containing original material and classic Americana. Paul first came to attention in 1978 with his band Streetband, whose novelty hit Toast was a surprise hit at the end of the year. He then formed The Q-Tips, and while they had no single hits, their 1980 album charted. He glosses over Streetband though. “It was a hired band really, and you needed a sense of humour. Most of my touring these days is with Los Pacaminos, we have great fun playing music we really love. It’s basically a hybrid music of Texan blues and R’n’B with the musical heritage of the Mexican immigrants coming into play. We’ve always wanted to get to America but so far the closest we have got is three Country festivals in Europe – one day perhaps. However, recently we are so hot, every gig is a highlight. And after a recent solo tour, which included a show at Sheffield’s Foundry, he also finds Los Pacaminos relaxing. With this genre of music being not as well-known as others, the band has to be careful about how much of the set is made up of songs that people will recognise. One song which is, however, sadly usually missing is Speedy Gonzalez. And the workload doesn’t seem to be lessening as Paul has a lot on in the future.